2016 has been an awful year for so many reasons. But today this was posted on FaceBook. 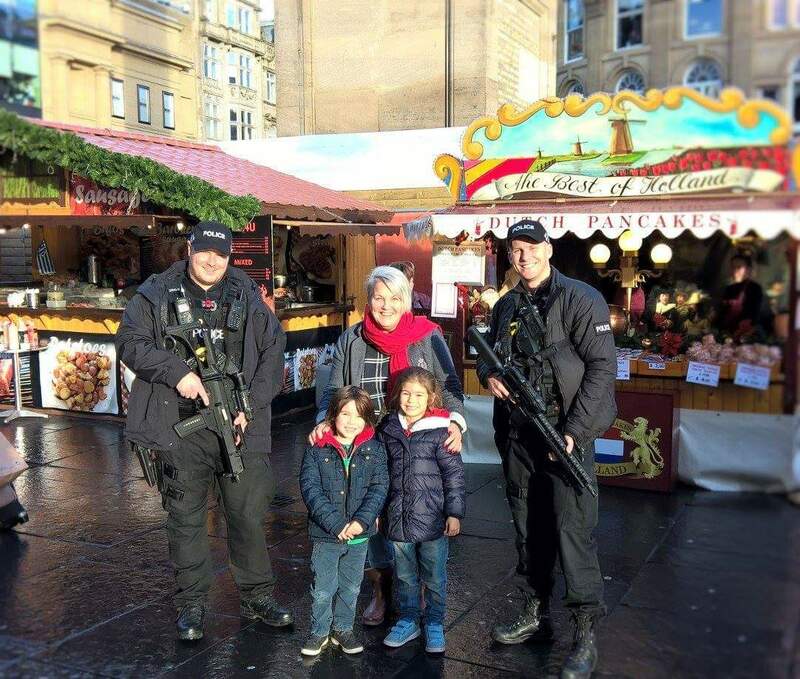 Our Firearms Support Unit (FSU) have been taking in the fantastic atmosphere of Newcastle’s Christmas market this morning. It may be a bit chilly out and about but there have been a lot of smiley faces with there being just two more Fridays until Christmas! 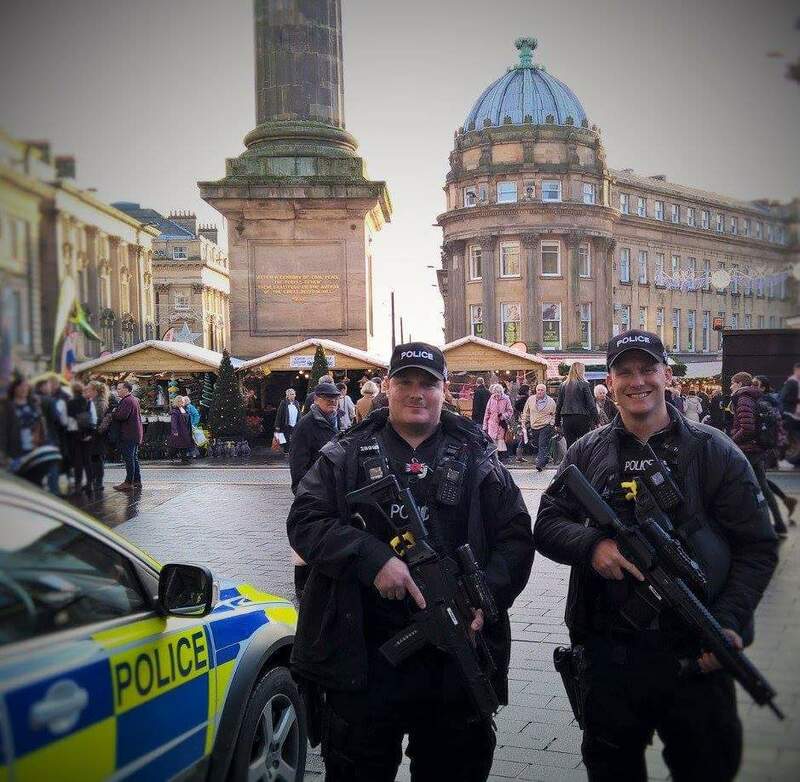 Don’t be alarmed if you do see our armed officers, they are there purely for reassurance and to make people feel safe. These patrols have begun following the announcement from the Home Office last year that armed patrols would be stepped up across the country. Our FSU officers are just regular police at the end of the day and if you have any concerns make sure you go and have a chat. It has been over four days since Hastings Council tried to close down Love Kitchen, a group of people giving free clothing, support and food to Homeless people and anyone who needs help, since February. The response from people across the World has been overwhelming. People have spread the #Love from local residents to Focus E15 to Artist Taxi driver to a Homeless person in Scotland. Over 1000 people signed the petition in 3 days. Mainstream media have started to catch up. and our involvement with it..
committed to working with, and for, its most vulnerable residents. >It has been aware for some time about the operation of the ‘Love Kitchen’, a voluntary operation which provides food, drink and other help to homeless people and other vulnerable people in Hastings. It is keen to work with the Love Kitchen to ensure that both organisations’ aims can be met. the food, ensuring it is safely prepared, stored, displayed and served. >We must refute any suggestion or implication that we somehow don’t care for, or provide help for, homeless and other vulnerable people here. >The Council has also provided funding for a drug and alcohol outreach worker, which proved successful and is now funded by the Hastings & Rother Clinical Commissioning Group (‘CCG’), part of the NHS. >Members of the council’s housing options team attend weekly multi agency drop in sessions at Seaview and are working with the CCG to provide additional support to members of the street community. >And we are part of a Sussex-wide working group that is coordinating efforts to address rough sleeping across the county. Government funding has been obtained over the last three years to provide a rough sleepers outreach service and to improve joint working and information sharing across all statutory and voluntary organisations who seek to prevent homelessness and rough sleeping. In 2014/15 the Council and partners assisted 64 single homeless people off the street and into suitable accommodation. joined-up approach with other organisations, we would be very keen to help find partners with whom the Love Kitchen can work, rather than it operating in some isolation, as it does now. >In conclusion, Hastings Borough Council does alot of work to support its most vulnerable residents, and is happy to work with the Love Kitchen to identify a suitable location that they can work from, and is properly licensed and regulated. We also encourage them to work through established local charities working with homeless people. There are many things to say about this Email. 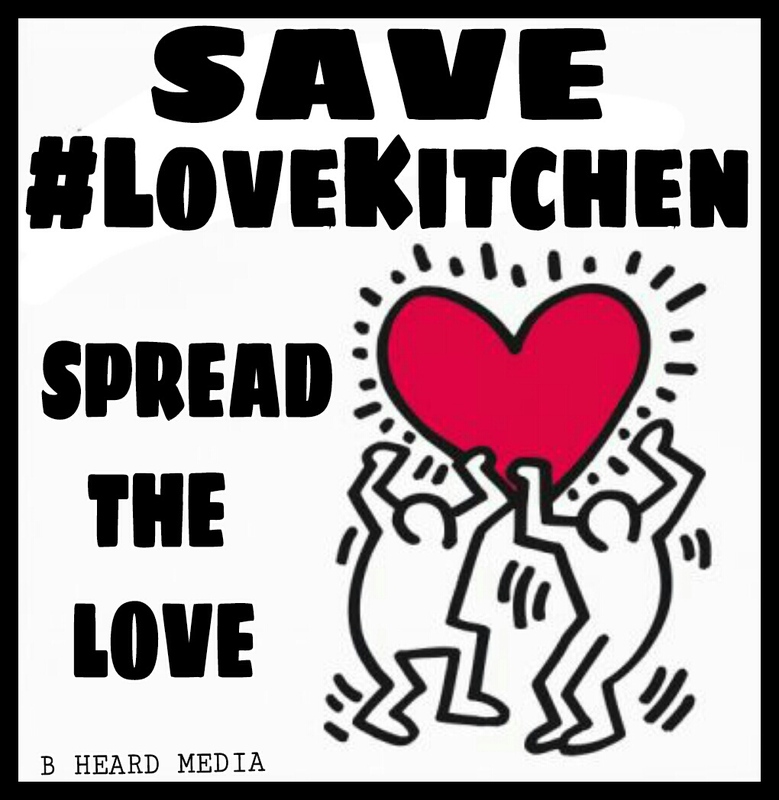 But the most shocking thing is that since Sunday the Council have not contacted Love Kitchen.